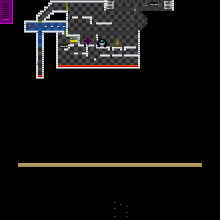 This is a mini-game based of of "Dont Take Another Step" that I made for Konni's contest. Refrain from using either the left or right arrow keys until you see a sign that tells you that you may do so, or you will automatically lose the game. Good luck!